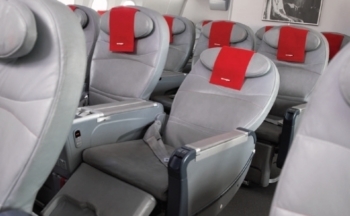 Norwegian has quietly removed lounge access for the majority of its Premium customers. As posted by a HFP reader yesterday, it turns out that the rules were changed on 21st December. From that point, only customers booking refundable PremiumFlex tickets have had lounge access included in their ticket. This will presumably cut the number of lounge visitors by about 80%. The timing is odd. The new My Lounge at Gatwick South, which I reviewed yesterday, is heavily branded ‘The home of Norwegian’ but will now have very few Norwegian customers using it! Norwegian is saying that anyone who booked a Premium ticket before 21st December will still get lounge access, but you will need to visit a check-in counter to pick up a paper invitation. Hand-baggage only customers cannot simply turn up at the lounge and gain access. 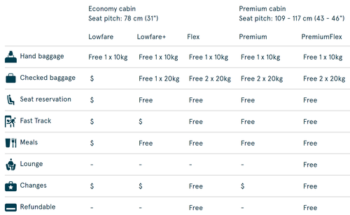 Whilst this is understandable given Norwegian’s financial issues, it removes a key point of difference between Norwegian Premium, Virgin Atlantic Premium and British Airways World Traveller Plus. 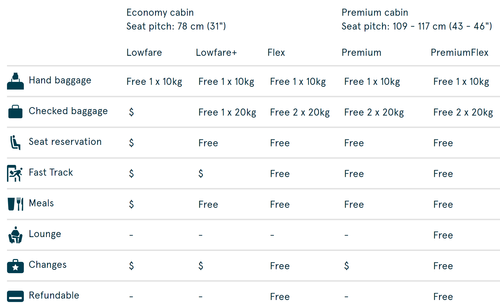 I would still recommend Norwegian Premium, purely because you get a bigger and better seat, but the other perks seem to be withering away. A quick reminder is that today is the launch date for the new IHG Rewards Club promotion. This covers any stays you may have at Crowne Plaza, Holiday Inn, Holiday Inn Express, Hotel Indigo, InterContinental etc. Called “Reward Nights. Faster.”, you will have your own personal targets. You can find out your targets, and register, on the IHG website here. It is valid for stays until 30th April. ….. which is pretty good. You can register and check your own targets on this page of ihg.com. Uber has confirmed that its ‘clean air’ fees, announced last October, will begin tomorrow in London. The fee is a fairly chunky 15p per mile. The money will be ring fenced and paid to Uber drivers in grants if they choose to buy an electric vehicle. The published target is to fund a £3,000 per car grant by 2021 and a £4,500 grant by 2022. Although, unless I’m being dim, this would appear to actively encourage drivers to hold off replacing their vehicle as long as possible whilst the money pot for grants fills up …..
Uber is aiming for an ‘all electric’ fleet in London by 2025. IT'S BACK: Get 10,000 to 25,000 sign-up miles with the Virgin Atlantic credit cards! Don’t they charge booking fees? They do for UK ones although appreciate may make up a larger percentage of the ticket cost in that situation. Anyone stayed at the new holiday inn on bath road? Not sure it is open? The Staybridge Suites attached to it IS open and has been for a few weeks.